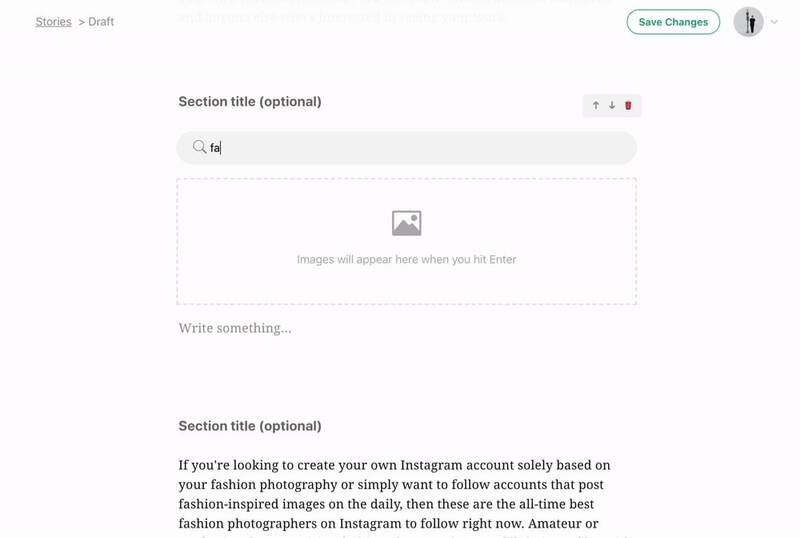 You can now access Unsplash photos directly in Vocal. Every good creator knows that imagery is a powerful tool. It helps tell our story, and can amplify the impact that story has on your audience. While we rely on images on the web to meet these goals, it is an unfortunate fact that many of the best images we find tend to be copyrighted, watermarked, or just downright expensive. Because you are creating content and need powerful imagery at your fingertips, we are excited to announce that Vocal has partnered up with Unsplash. Unsplash has been used in everything from Apple keynotes to the default theme shipped with Wordpress. You’ve probably already seen a photo from Unsplash, you just didn’t know it. Vocal and Unsplash believe we both have something in common: we are a community of creators aiming to create, discover, and inspire through our work. Our staff has been using Unsplash photos since Vocal first launched. Now we’re excited to bring this community of 90,000+ of the world’s most generous photographers together with our own creators through this partnership. In the past, creators would need to search for images outside of Vocal and go through many steps before their photo would be successfully saved in their story. 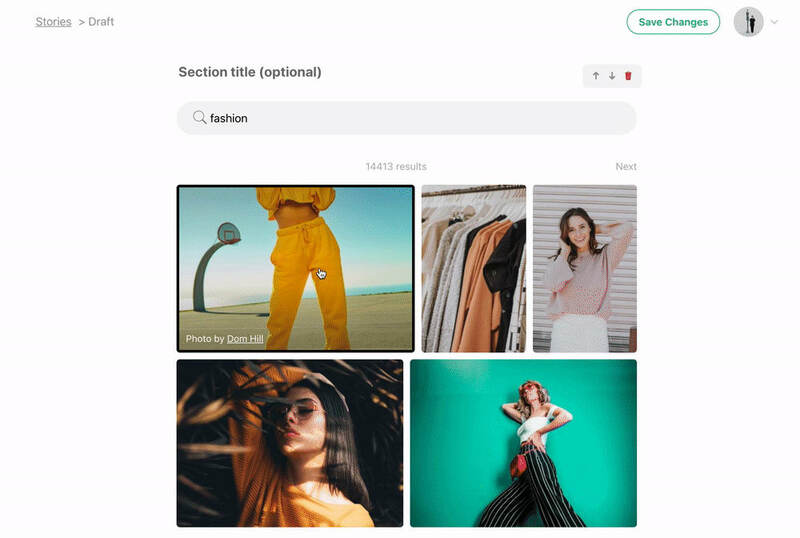 Now, the Unsplash integration gives Vocal users direct access to a library of over 550,000 free, high-resolution, professional photos. This allows them to add visuals that are better than any royalty free or stock photos straight from Unsplash’s library within Vocal. Click the magnifying glass icon in the module toolbar. This is the Unsplash search icon. After clicking it, a new module will appear. 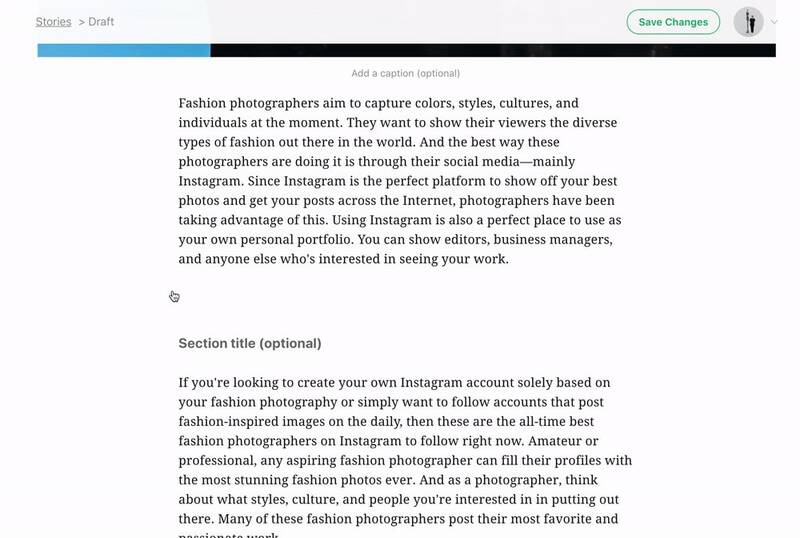 Use the search bar in this module to look for your ideal photo. Type in a word or phrase that describes what you want in your photo. Tell Unsplash what you need by typing whatever you’re looking for into this bar. The Unsplash module will present you with a variety of different pictures that match your query. Navigate through the pages of images until you find the right photo for your story. Once you find the right photo for your story, simply click on it. The photo will be added to your Vocal story, complete with photographer credits. Just click “Save” at the the top right corner to save your image selection, and move on with creating your piece. It’s that simple! Whatever type of content you create on Vocal, our partnership with Unsplash is designed to streamline your creative process and provide you with access to an immense library of quality imagery to enhance your stories. Join this exciting new collaboration and start creating your story today.